This game review was first published on familytech.co.uk. 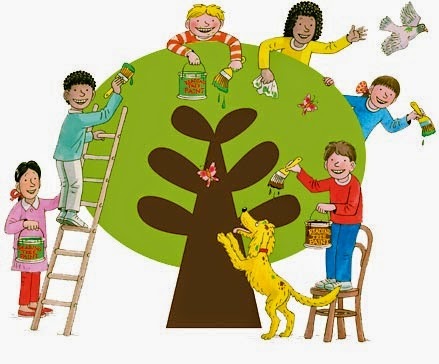 If you have a child at primary school in the UK then, more than likely, you will be familiar with the characters Biff, Chip and Kipper who feature in every Oxford Reading Tree story. My daughter, Lara, has been reading the Biff, Chip and Kipper stories during her foundation year and we have come to all enjoy the tales of the magic key. Lara was so excited to find out that there was a new Biff, Chip and Kipper game coming to Nintendo (launching today for Nintendo 3DS and 2DS). 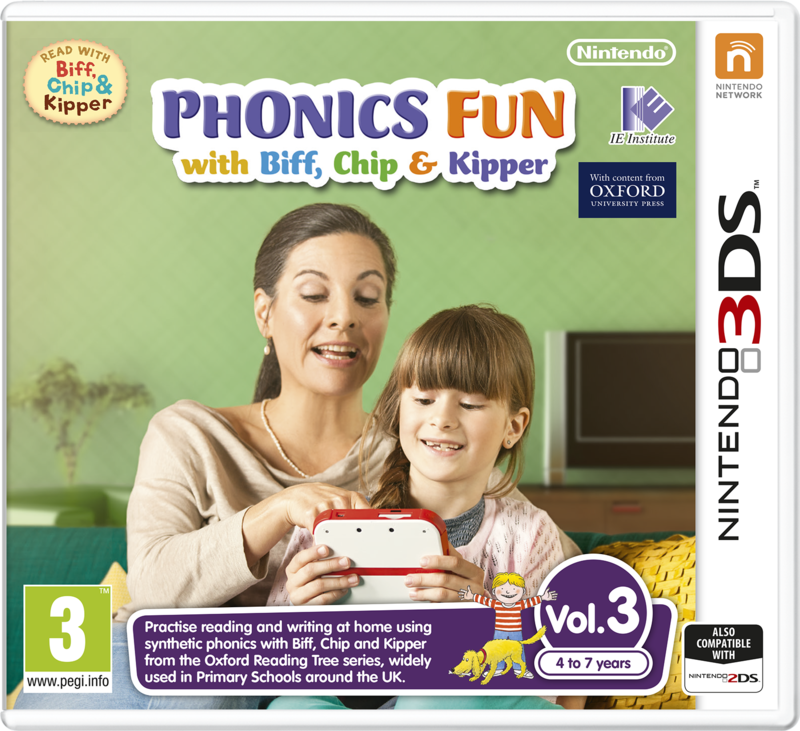 Phonics Fun with Biff, Chip and Kipper is a learning game which comes in three different volumes for different stages of your child's learning journey. Lara was given a sneak preview of volume 3 in which children get to practice words that should be fairly familiar but with alternate spellings and tricky sounds - I think it is the perfect level to challenge Lara who is currently reading at ORT level 7. Lara wasn't familiar with the Nintendo console before trying out the game (we loaned a 2DS for the purposes of the review) but despite this, she very quickly learned her way around the game (a lot more quickly than I did!). At Volume 3 of Phonics Fun with Biff Chip and Kipper, you are presented with a shelf of books to choose from. Each book contains a story and there are several different activities that you complete for that story, each of which earns you a piece of a jigsaw puzzle. Lara was instantly driven by this "need" to collect all the pieces of a puzzle and didn't want to put the game down without completing out an activity (there are save options but not within an activity). At Volume 1 the game is all about practicing letter sounds - sounds you hear around you in daily life. And in Volume 2 it definitely moves more onto word formations, alternative vowel sounds and building words using common word endings such as -ed. Lara has very much enjoyed Phonics Fun with Biff Chip and Kipper. She loves being able to "prove" to herself that she has understood a story by correctly answering comprehension questions about a passage that the game reads to her. She likes to be able to record her own voice reading new words and I can literally hear her brain working into action as she runs through lists of new words, all of which share a word sound - words I never expected a 5 year old to be able to spell. Gamification of learning is a very rewarding experience for both children and parents. One of our favourite elements of the Phonics Fun game was the writing activity. Presented with a picture of an object (a word she had learned in previous activities for that book), Lara had to write it herself using a stylus on the touchscreen of the 2DS. This frustrated her at first because it wouldn't recognise her writing style but this simply forced her to write smaller and more neatly in a gentle cursive style for it to correctly register the letters she was writing... I've noticed the difference in her traditional handwriting since. If there is one gripe I have with the game, it is that I found the amount of text for some of the reading and comprehension activities a bit too much for the screen. The lower screen on the 2DS is small and for a child of Lara's age to read writing that small was a challenge. You can find out more about Nintendo games for children by following Nintendo UK on twitter and the 3DS page on Facebook.